Nile river boats at the quay at Malakal, with Internally Displaced Persons traveling from Khartoum to Juba stopping off. Morton, Chris. 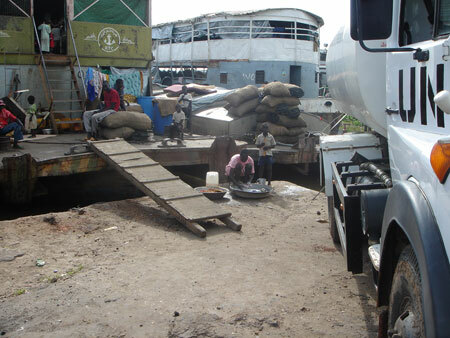 "Malakal quay" Southern Sudan Project (in development). 03 Jan. 2006. Pitt Rivers Museum. <http://southernsudan.prm.ox.ac.uk/details/2007.137.83/>.